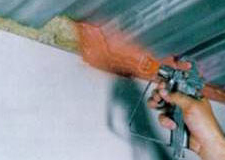 Here at New England Foam & Coating, we specialize in Closed and Open Cell Spray Foam Insulation, Dense Pack and Loose Fill Cellulose, Fire and Polyurea Coatings, and Full Metal Jacket spray in Bedliners. No matter what you need to insulate or protect, we’ve got your back. 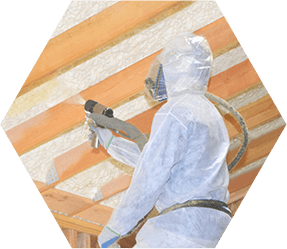 Thanks to its compact cell structure, closed cell spray foam insulation offers an excellent air and water vapor barrier for your home or business. It is durable enough for outdoor installations, such as roofing projects or partially finished spaces. Closed cell foam provides R-values between R-6 and R-7 per inch, as opposed to blown fiberglass, which has a typical R-value between R-2 and R-4. By treating your space with spray foam insulation, you can improve heat retention by up to 50%, compared to traditional fiberglass insulation. Closed cell foam insulation can also assist in preventing mold, mildew, and wood rot, by providing much higher protection against moisture than traditional insulation. With many of the same benefits as closed cell spray foam insulation, such as providing a high R-value and excellent air barrier, open cell spray foam insulation trades some of the weatherproofing of closed cell foam for much greater sound reduction. Open cell foam can significantly reduce sound transmission between rooms, making it an excellent choice for interior walls, especially in industrial or residential applications. Tip: Choosing either open or closed cell spray foam insulations for your project may also provide a federal or state tax-credit, depending on your use. Speak with your tax professional to find out if your project qualifies. One of the most ecologically friendly and inexpensive insulation materials is Cellulose. 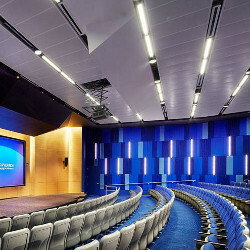 Composed of 75%-80% recycled material, along with an eco-friendly fire retardant additive, Cellulose still maintains an R-value of R-3.6 to R-3.8 per inch, while providing low cost and green building compliance. By forming a high-quality air barrier, dense pack cellulose can reduce heating costs by 20%-30%, compared to traditional fiberglass insulation. In addition, Cellulose provides the highest available grade of fire protection (Class 1). Tip: Dense pack cellulose requires expert installation to prevent settling and ensure a proper air barrier. Contact us to put our expertise to use on your project. In some difficult areas, dense pack cellulose simply can’t be efficiently applied. In these cases, we can use loose-fill cellulose to provide similar benefits in hard to access areas. Loose fill is most often used to retrofit older buildings. The cellulose must be applied by an expert to minimize settling and ensure the rated R-value is reached. Spray in bedliners are a must for truck owners. They protect your investment from the wear and tear of loading and unloading, while preventing loads from shifting and slipping in transit. They also help to prevent rust and corrosion. 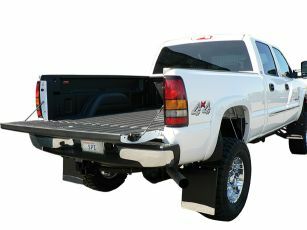 We carry multiple variations of bedliner to match any application and help protect your vehicle. Many foam and cellulose insulations require a fire-preventative coating to meet commercial and residential building codes. We offer many coatings to meet and exceed safety standards in any application.